Start a career in the rewarding field of psychology and contribute to society’s well-being with this online Graduate Diploma of Psychology course. Designed for people seeking careers in psychology with no previous psychology experience, this broad-focused course provides the fundamental knowledge and essential foundation skills required to work in this challenging, rewarding and sought-after field. In this course, you’ll study the fundamental principles and theories of psychology, the history of psychology, and key human behaviours and traits. You’ll have the opportunity to conduct research and analyse statistics, in order to build your practical sill-set. Further study is required in order to qualify to work as a practising psychologist. This course provides an invaluable introduction to anyone seeking a career change, either to psychology practice, or to working in a wide range of counselling, mental health, therapeutic and people-centred roles. 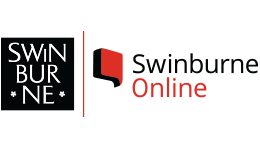 Upon successful completion of this course, you will receive a Graduate Diploma in Psychology from Swinburne Online. This qualification enables you to seek employment in a range of counselling, support and people-focused roles. With this qualification you may choose to seek employment a mental health support worker, counsellor, or family therapists. This qualification is one step in the path to working as a professional psychologist. If you would like to work as a registered psychologist, you must complete further training in psychology as required by the Psychology Board of Australia. This course has received condition accreditation by the Australian Psychology Accreditation Council.